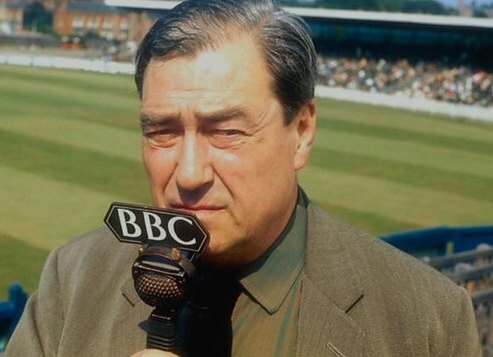 John Arlott (1914-1991) is not a name that is immediately associated with hymnody. He was nicknamed the ‘Voice of Cricket’ and he is well-known known for his contribution to the game of cricket. He wasn’t a hymnwriter, but as well as being a cricket commentator, he was also a writer and poet, who did on one occasion turn his craft towards hymnwriting. ‘God, whose farm is all creation’ (SHIPSTON) for Harvest. Of the three, only one – ‘God, whose farm is all creation’ – has endured and remains a part of major hymnals such as the English Hymnal, Hymns and Psalms and Singing the Faith. SHIPSTON – the tune used with Arlott’s hymn ‘God, whose farm is all creation’ (played here on the Snetzler organ of the New Room Chapel, Bristol.